A one-hour outing combining training and exercise, this is not your average dog walk. Assistant Trainer Ashley Loehn will continue to follow and practice your training and management program while getting your dog out for some exercise and playtime. Our Dog Handling Specialist, working closely with Jill, will follow and practice your training and management program, ensuring that your dog continues to build good behavioral skills without regressing into bad or old habits. Train & Walks may take place in your dog’s neighborhood or a field trip to a park or other location that Jill has approved for your dog’s training plan. 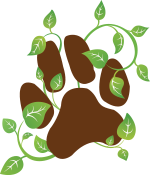 *Must have completed a minimum of 3 private lessons with Paws of Nature in order to sign up for Train & Walks.